There are hundreds of Off Road stories currently in our archives for you to browse. We’re adding less additional content than usual to this section while we focus on improving the overall service we offer you. 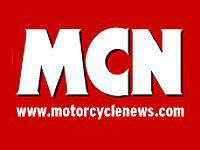 In the meantime the site is functioning as normal so please continue to enjoy your time at motorcyclenews.com. Getting your wheels dirty is a growing trend in the UK with more and more people taking to the dirt.